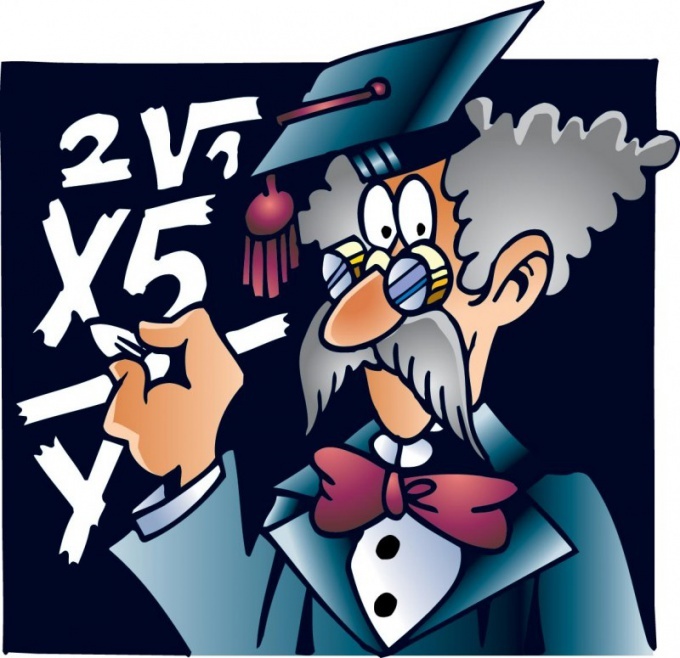 The first thing children learn in school algebra course are variables and numbers. Contained in the equations, the unknown variable is usually denoted by an arbitrary letter. When solving this problem it is necessary to find the value of this variable. The main indicator variable is that it is not the number and letter. Under the symbol often hides a certain value. The variable got its name due to the fact that it has a different value depending on the equation. As a rule, any letter of the alphabet can be used as a label for this element. For example, if you know that you have 5 rubles, and you want to buy apples that cost 35 cents, a finite number of apples that can be purchased, is indicated by a letter (e.g. "C"). If there is a variable that was chosen at your discretion, it is necessary to make algebraic equation. It will relate the known and unknown quantities and the relationship between them. This expression will include numbers, variables, and one algebraic operation. It is important to note that the expression will contain an equal sign. There are two main classification of expressions: monomials and polynomials. The monomials are a single variable, a number or product of a variable and number. Furthermore, the expression of several variables or expressions with indicators is also monorom. For example, the number 7, the variable x, and the product 7*x is monom. Expressions involving indices, including x^2 or 3x^2y^3 terms. Polynomials are expressions that include a combination of addition or subtraction of two or more monomials. Any type of terms, including numbers, variables, or expressions with numbers and variables, can be included in the polynomial. For example, the expression x+7 is a polynomial, which put together monom and monom x 7. 3x^2 is also a polynomial. 10x+3xy-2y^2 is an example of a polynomial that combines three single term using addition and subtraction. In mathematics, independent variables are unknown, which define the other part of the equation. They are separate expressions and do not change with other variables. Values of the dependent variables are identified using independent. Their values are often determined empirically.